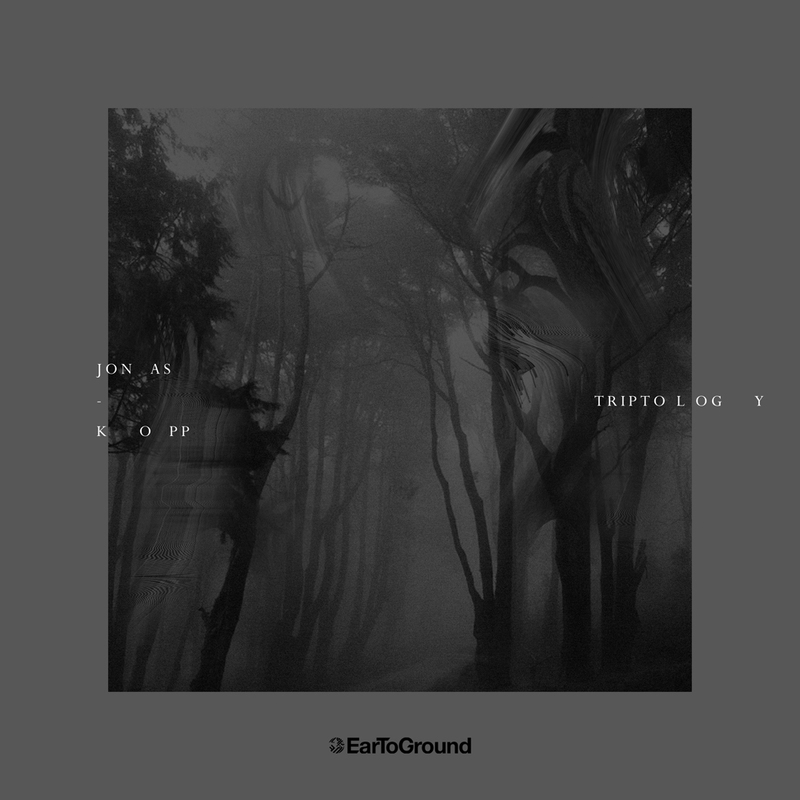 EarToGround Records new collection named “Triptology” is the most recent EP from the now Berlin based and world renowned Argentinian producer Jonas Kopp, with 5 tracks ranging from the coolest garage music to deeper waters. “STP” the first piece of this set has multiple colours, set on a four note bassline resting on a cogent kick, but only to the exact point without making it too bold, coming and going pads become dominant in the track and working from side to side. They allow short synths to occasionally see the light at a jovial rate maintaining the dynamism and complementing each other. A voice sample works as a stab and serves as an answer to melody. The top consists of closed rolling hats, which are quick to open and get replaced by a simple clap that fits just great. It is a track with steady pace that envelops you in minutes. With a less attacky kick but much more pounding, “CE-5” is a far more dense proposal. There’s no need for a bassline, that kick is doing all the work, sat next to closed rolling hats with a machine texture, the canine stab on the mids are wet with reverb and delay giving the track everything it needs to make you travel down a darker path. Open hats and loud claps enter later and the sharp resonance they generate deliver contrast from the almost detectable bouncy lows. A nice piece to keep the floor moving. “Mental Message” is the following track, with a little more emphasis on the kick and bass bouncing from it, quickly achieving an attitude that drives it forward, plenty of playing hats, open and closed fabricate the chaotic top end on this tune. A melody made of voices crumbling with reverb that deform gradually empowering the track title. There are some drum sounds that appear from time to time dancing with hats that come and go, giving enthusiasm and wrapping the wide range of this track. With the highest BPM, “Distance” is my favorite, a bell style synth leads in the middle and its the bass range brother that takes over my mind. The kick is definitely there stuffing the low end in a 1-2, 1-2 pattern simulating the movement of the speakers and hitting the chest of the listener. There is a grainy noise that leaves the kick rest, balancing perfectly with the closed hats and vocoder texture. Rolling open hats appear later on and serve as an excuse for the clap. Definitivamente this track has great vibe on any dj set. To close this trip we have Digital Exclusive “Tibi Jam” the most experimental track on here. It comprises of a synth with an acid touch as it goes from an acute point and dives to low bounces that merge with a distant kick encompassing all space. Delayed hat stabs lead the way for the ride to drop and mixed with shorter hats, establishes the rhythm. Reverberant claps and impatient noises are the give and take that is repeated till the end. Clearly Jonas knows what works, whilst getting creative under the “hood” so to speak, introducing exciting and distinct details. This entry was posted on June 16, 2015 by Death Techno. It was filed under DT:Reviews and was tagged with DTR, EarToGround, Jonas Kopp.